Artificial Intelligence (AI) – Motorcycling in the future – what is coming to us? At the Tokyo Motor Show, at the end of the month, Honda will present the Riding Assist-e Concept. 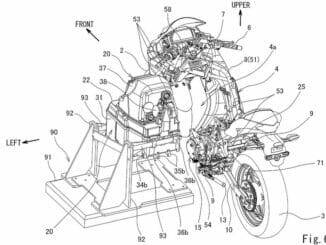 Ducati introduced the new 90 degree V4 engine for the upcoming top models. Ducati brings a new engine. The first head-up display is on the market, it comes from NUVIZ and is now available. What BMW understands under emissions-free urban mobility of the future on two wheels has now been presented at the Concorso dÈleganza Villa dÈste 2017. The Concept Link. This is about design and technically new ways. MV Agusta has put a new mysterious teaser online. You can see how the letters RVS are engraved in an aluminum block. RVS stands for Reparto Veicoli Speciali, which can be roughly translated with Department of Special Vehicles.